Yokohama West Entrance Area(横浜西口, Yokohama Nishiguchi) is the biggest shopping district in Kanagawa. There are many huge department stores such as Takashimaya, Tokyu-Hands, and Yodobashi Camera for electric gears. 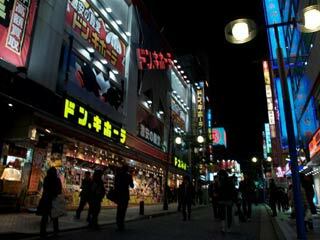 Also, there are over 1,000 individual shops, restaurants, bars, and many entertainment, such as Karaoke or game center. Most of the teenagers, come here and have funs. Great spot for after work. You name it, you will find it in Yokohama West Entrance Area. There are many public parking and restroom. There are Four major spots for shopping and entertainment. ...is the underground shopping districts which has all kinds of stuff, especially for fashion and accessories. Also, there are many restaurants and food shop as well. It is connected to the all west-side of Yokohama Station. ... has many game centers, and Izakaya, bar and grill. ... is full fun for all teenagers. It has huge amusement center, Round One, and Donkihote, Tokyuhands, first foods, and many Karaoke. Also, HMV for CD/DVD and Sotetsu Movil, the movie theater are located in this area. ... has many department storts, such as Takashimaya, Yodobashi Camera, SOTETSU JOINUS. Also, Hotels are located on this area.